Spill the Beans is a startup online platform designed to promote high-quality multimedia journalism in Germany. 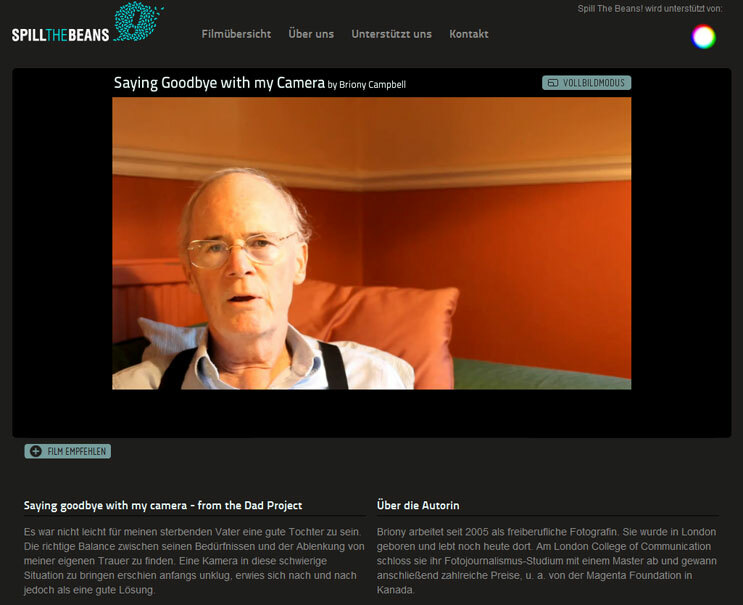 The latest project they feature is Briony Campbell’s “Saying Goodbye with my Camera,” a wonderfully personal and moving piece. Campbell accompanies her dying father on his last days of his battle against cancer – and in the process learns to deal with her own grief. Make sure to look at this when you really have time for it. This is definitely not a piece that you want to watch in a rush. Hi Jacob, danke für den Post! freu mich, dass Dir Brionys Film gefällt. Frauke von Spill The Beans!